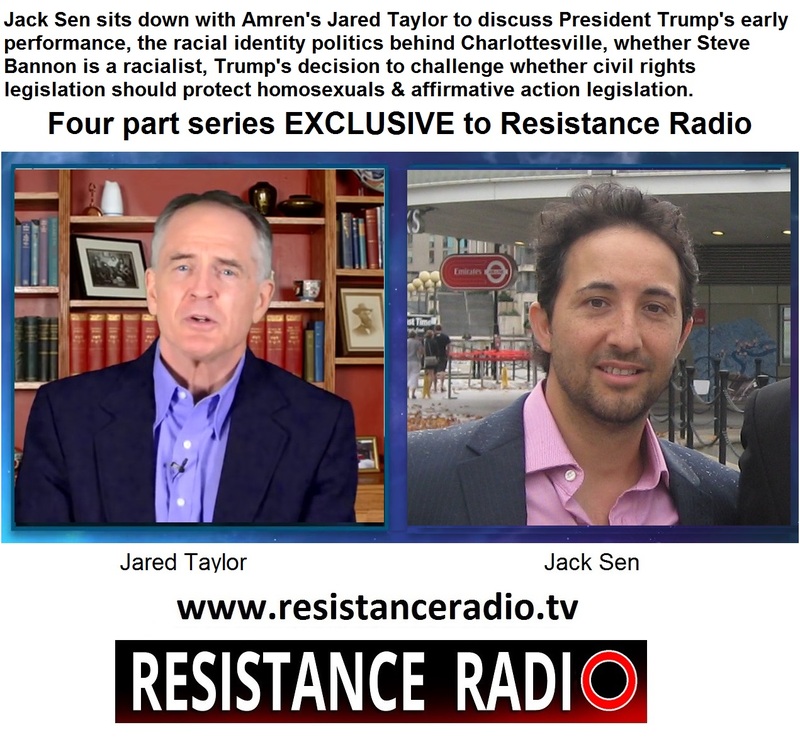 Jack Sen sits down with American Renaissance's Jared Taylor to discuss President Trump's early performance, the racial identity politics behind Charlottesville, whether Steve Bannon is a racialist, Trump's decision to challenge whether civil rights legislation should protect homosexuals and affirmative action legislation. In order to keep this important site alive we ask that you subscribe so we can afford to move forward with our vital work. From being able to host our own videos and bypass left Wing social media, produce our feature film, Londonistan: the Fall of Britain's Capital, we need your support.